Roe deer or Western roe deer is a species of small deer distributed in many places of Europe and Asia. 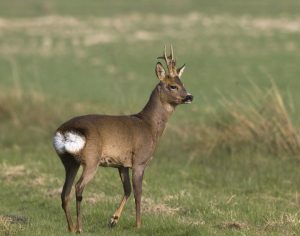 As compared to the female roe deer, males are larger having short and erect antlers with 2 or 3 points. 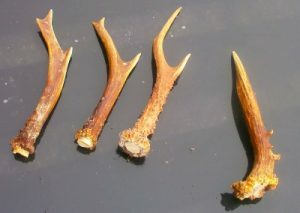 During October-January, the old antlers are shed and replaced by new ones that are covered with vascular ‘velvet’ skin, which supply blood to facilitate the growth. 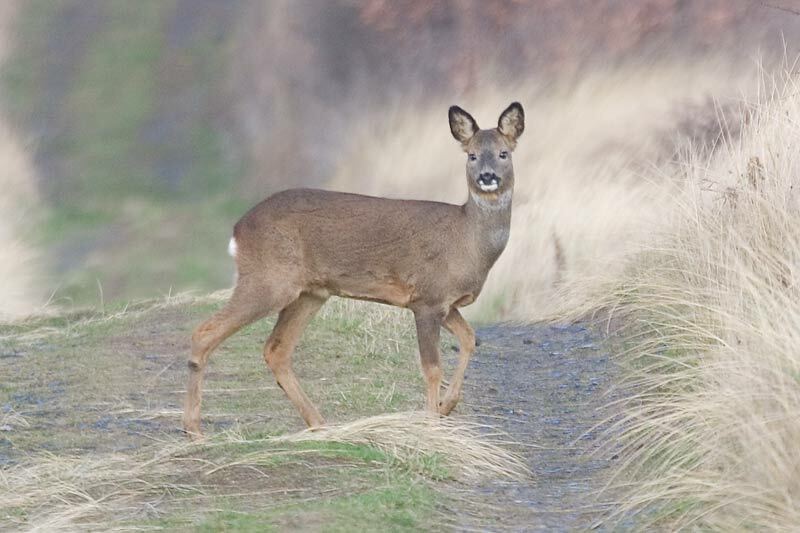 Primarily active during the dawn and dusk, the roe deer moves quickly and gracefully in the forests. It lives either solitarily or in small groups, but it can form large groups to feed together in the winter. 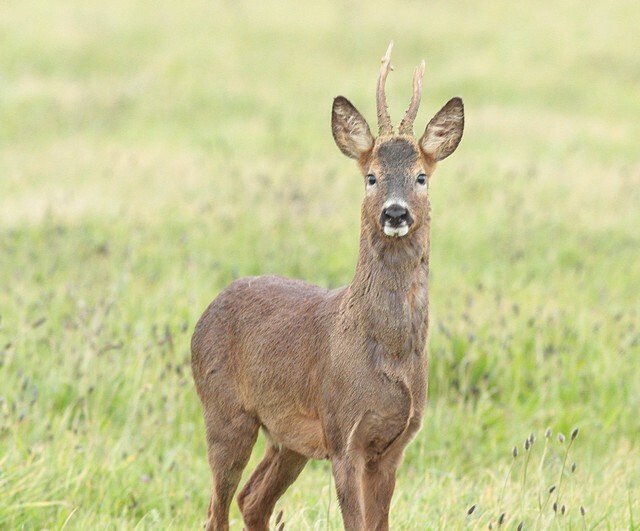 The males (bucks) defend their territories aggressively during the breeding season. 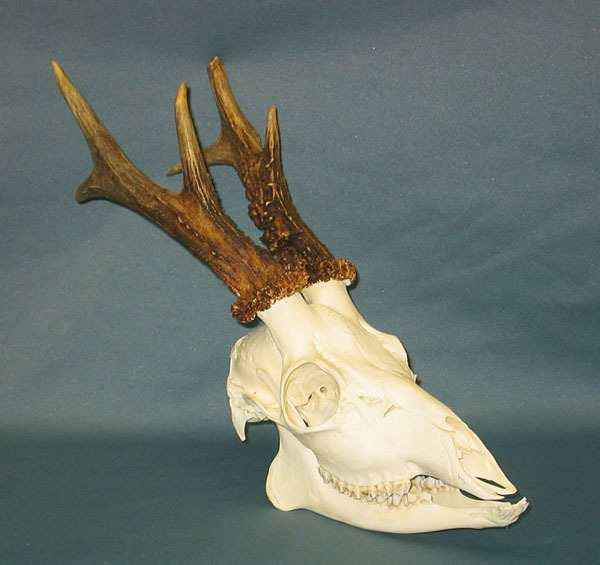 Their rut or mating season is between mid-July and mid-August, during which polygamous males fight by locking and pushing their antlers inflicting serious injuries on their rivals. 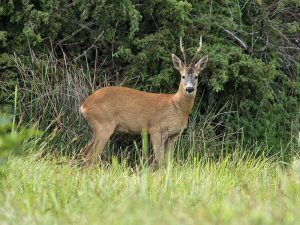 Once the winner takes possession of the loser’s territory, it starts mating a female. 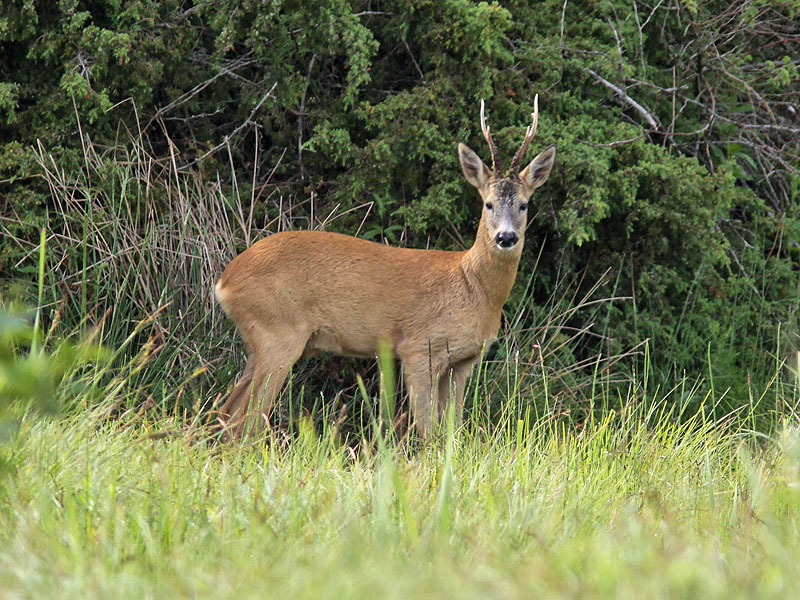 The buck exhibits courtship by chasing the doe (female deer) until it is ready to breed. To avoid giving births during the winter months, the roe deer delay the implantation for few months. 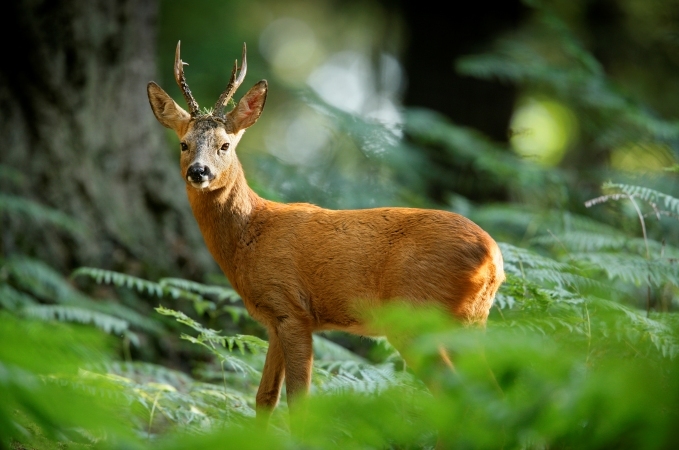 The development of fertilized eggs starts in December and January while the offsprings are produced during May-June. For the first few weeks after birth, the fawns are left in the long grasses hidden from the predators. 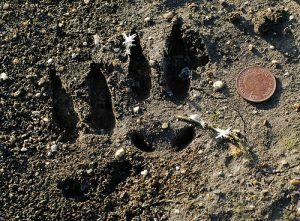 After this time, the mother nurses its offsprings until they are 3 months old. 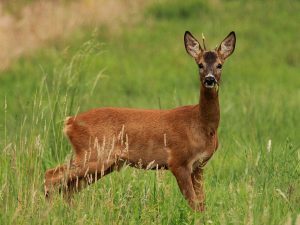 Juvenile deer attain sexual maturity when they are 14 months old. 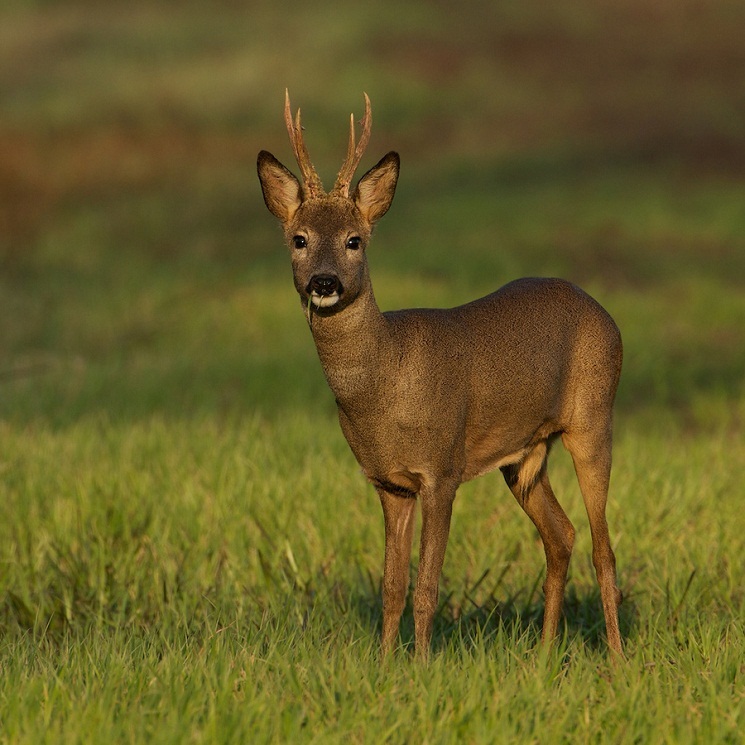 The European and Siberian roe deer were once considered the same species. 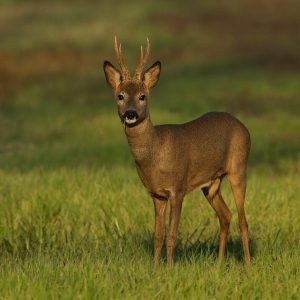 Roe deer are now hunted for meat by the locals of Pohnpei, Micronesia where they were originally introduced by the Germans. 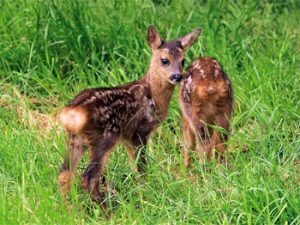 The renowned character Bambi of the novel “Bambi, A Life in the Woods” is a male roe deer. Published on September 10th 2016 by admin under Coniferous Forest Animals. Article was last reviewed on 9th September 2016.